En más de una ocasión seguro que has leído que tal cámara tiene un factor de recorte o factor multiplicador y seguramente lo utilices para saber con qué focal cuentas o estás trabajando pero sabes cómo calcular ese factor de recorte o el multiplicador para una cámara concreta y objetivo. Si la respuesta es que no lo sabes, te aconsejo que sigas leyendo este blog pues intentaré explicarlo de la forma más sencilla posible. Pero antes de ir al grano, me gustaría explicar algunos conceptos básicos para entender lo que viene después. El primer concepto que debemos saber es que es la distancia focal ya que mucha gente piensa que es la longitud del objetivo y esto no es así. 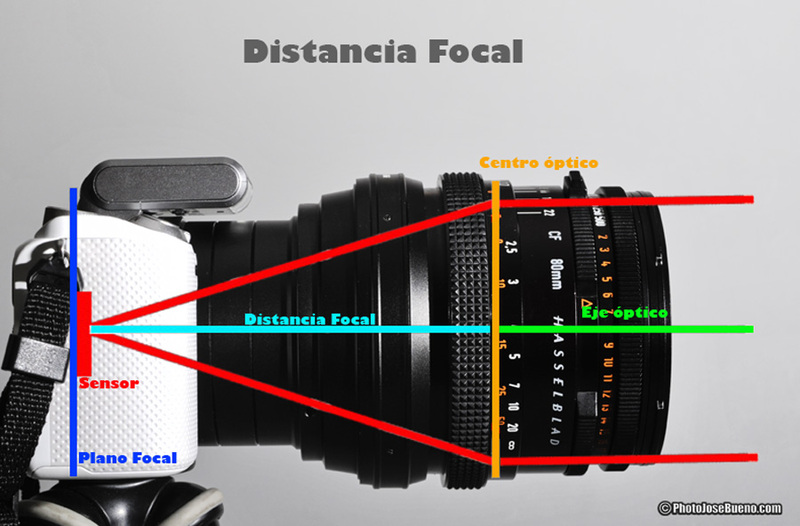 La distancia focal en un objetivo es la distancia que existe entre el centro óptico del objetivo y el plano donde se concentra el foco en el sensor o película, también conocido como plano focal. Esta distancia normalmente se mide en milímetros. 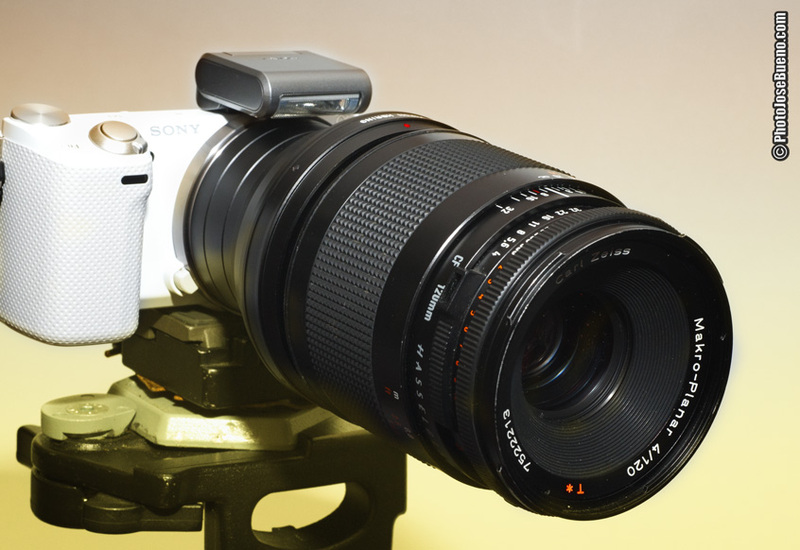 Esa distancia focal suele venir impresa en el objetivo y es normal que queramos conocer su equivalencia a la medida más estándar, me refiero al sensor o película de 24mmx36mm o también conocido en la era digital como full frame. Pues bien conociendo el factor de recorte o factor de multiplicación, resulta muy fácil conocer dicha equivalencia pues tan solo tendremos que multiplicar ese factor por la distancia focal. Ojo es equivalencia pues el sensor al ser más pequeño recoge menos campo o información pero quede claro que la distancia focal del objetivo no varía. Por ejemplo si tenemos un objetivo de 16mm., diseñado para una cámara con sensor APS-C, debemos saber que tiene un factor de recorte o multiplicador de 1,52 por lo que si hacemos una simple multiplicación, sabremos que ese objetivo sería equivalente a un objetivo de 24mm. en el formato full frame. Hay más ejemplos que veremos más adelante donde nos resultará interesante conocer ese factor pero, … cómo se calcula? Siguiendo con el sensor APS-C cuyas medidas son 23,6 x 15,7mm. vamos a calcular cual sería su factor de recorte con respecto a formato full frame. Para ello vamos a utilizar el famoso Teorema de Pitágoras pero no te asustes que son matemáticas básicas. Por fin tenemos esa cifra mágica y sabemos que si multiplicamos el dato que viene en nuestro objetivo APS-C podemos saber a que equivale en full frame. Espero que a partir de ahora no tengas ningún problema en calcular la focal que llevas en tu cámara e incluso te sirva para comprar objetivos que seguramente no habías pensado. No te pierdas la entrada en la que probaremos este “pepino” y si te ha resultado interesante este tema recuerda compartir con tus amigos. On more than one occasion sure you’ve read that this camera has a crop factor or multiplier factor surely use to know what focal accounts or are working but you know how to calculate the crop factor or multiplier for a specific camera and lens . If the answer is you do not know, I suggest you stop reading this blog then try to explain it in the simplest way possible. But before we get to the point, I would like to explain some basics to understand what comes next. The first concept we need to know is that the focal length is because many people think it is the length of the lens and this is not so. The focal length in a lens is the distance between the optical center of the lens and the plane where the focus is concentrated on the sensor or film, also known as focal plane. This distance is typically measured in millimeters. That usually comes focal length printed on the lens and the camera always related to that goal was designed but it is very normal to want to know the equivalence of the objective standard to measure, I mean the sensor or film or even 24mmx36mm known in the digital age as full frame. Well knowing the crop factor or multiplication factor, it is very easy to meet this equivalence because we just multiply that factor by the focal length. Eye is equivalent for the sensor to be smaller or information collected under field but it is clear that the focal length does not change. For example if we have a 16mm objective., Designed for a camera with APS-C sensor, we know you have a crop factor or multiplier of 1.52 so if we do a simple multiplication, we know that this goal would be equivalent to a 24mm lens. in full frame format. There are more examples that we will see where we find it interesting to know that factor but … how is it calculated? Following the APS-C sensor whose measurements are 23.6 x 15.7 mm. we will calculate what your crop factor compared to full frame format. For this we will use the famous Pythagorean Theorem but do not panic they are basic math. We finally have that magic number and we know that if we multiply the data that comes in our goal APS-C we know in full frame equivalent. I hope from now on you have no problem in calculating the length you have in your camera and even serve you for buying objectives certainly not thought. Do not miss the entry that prove this “salad” and if you found it interesting this topic reminds share with your friends.